What is the best dumbbell chest workout? And, can you do a dumbbell chest workout in 30 Minutes? When you are interested in building muscle, you cannot neglect your chest. You probably do not have the time to hit the gym every day. And, if you do, you do not have hours to spend in the gym. You have work and life to take care of. This is why you want the best and most effective chest exercises. It is easy to be intimidated by the advanced weight lifters in a gym. They use cables and a variety of contraptions to sculpt their muscles. But, what about the beginners out there? Or the Sunday warriors, that just want to get into better shape. We need straight forward chest exercises for everyone. One of the great benefits of weight training is that it is doable for the very out of shape. For example, take a man at 6 feet two inches, who is 250 or 275 pounds. It is unlikely that such a man could even do one pushup. He is so out of shape, so overweight, that it is practically impossible for him to do a pushup. His pregnant belly is going to be hitting against the floor. And he will not have the arm strength to do even one push up. Especially if he is 50 years of age or older. I was that man, except I was older, 55 years of age to be accurate. I could not do one pushup. In such a case, dumbbells are great to build up your strength. No matter what your weight, you can sit or lay down on the bench and press up the dumbbells. Or, you can start with a machine chest press in sitting position. And start the muscle building process. Specifically to build your chest muscles, the pectoralis major muscle. Despite your obesity. Another benefit of a dumbbell chest workout is that you get a fuller range of motion. For example, on the incline dumbbell bench press, feel the full stretch when you bring the dumbbells down to your chest, palms facing to the wall in front of you. Remember to keep your body tight as in all powerlifting training. Drive the dumbbells to the ceiling while you are tight against the bench holding the weights above your body. Other muscle groups worked by a dumbbell chest workout include your shoulders, front and medial deltoids, and even your triceps, if you do tricep presses. In case you do not have a gym, or do not want to go to a gym. You can still do this workout at home. What's the Best Chest Workout for Mass? Based on the above criteria, here are tips for you to have an effective chest workout. Train your chest on one day a week. Train all three parts of your chest, upper, middle and lower. If you are capable of doing push ups, do your pushups before your weight training. For push ups, do your max number of pushups 3 times a week, giving yourself one day of rest. Increase the number of pushups by one each time you do push ups. Once you get to 40 or 50 consecutive pushups, you might only be able to increase one pushup a week. This depends on your age, strength, conditioning. The upper chest exercise of choice is the incline barbell or dumbbell press. Use a 30-45% incline bench for the upper chest. To build the middle of your chest, do the dumbbell bench press on a flat bench. For your lower chest, do dips. You will immediately feel the difference between free weights and machines. Warm up with 3 sets, one after the other without more than 30 seconds rest. For each warm up set, increase the weight while decreasing the repetitions. Warm up with 50 percent of what you estimate is your maximum amount of weight on any specific exercise. Do 5 reps for your first warm up set, then 3 reps for heavier weight if appropriate and then 3 sets of 8 repetitions for your work sets. Start with light weights. Keep a simple record/spreadsheet of your workouts. If you want to see the great power of recording your workouts, read the 5 Most Important Ed Coan Deadlift Tips to Power Your Training. Start with the bench press. rest 3 to 5 minutes between each work set. Keep a spreadsheet of your workouts. Increase your weight gradually, 5 pounds a week. Do this circuit, one exercise after the next and repeat three times. Little to no rest in between each exercise and set. Push Ups – 10 – 30 reps, whatever you are comfortable with. Repeat this circuit 2 – 3 times. Don't Fall in Love with the Bench Press? Check out this very interesting video below. Starting Strength author Mark Rippetoe explains a shocker. He says that the shoulder press is more important than the bench press. But having said that, he goes on to give step by step instructions how to barbell bench press. This is useful if you want to do the first part of your dumbbell chest workout using a barbell for the bench press. Start with the flat bench press. As always, when you are on a flat bench, a squat or deadlift, you want to keep your body tight. Bracing your core helps you generate power. To do this on the bench, you want to lift your chest up, squeeze your shoulder blades and move your feet under your hips. Coil yourself up till you feel tension. If you are just so comfortable lying down on the bench, then you are not doing it right. You should not feel comfortable, you should feel that your body is primed, and ready to lift heavy weights. Move to the incline barbell bench press afterwards. 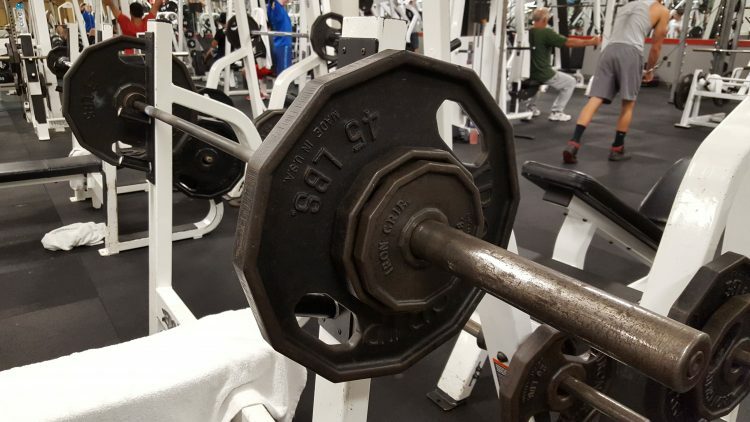 You should not need to do warm up sets after your initial warmups on the bench press. The total time for these chest workouts for mass comes in at 30 minutes or less. If you do warm up sets for the incline and dips, you might exceed 30 minutes. Low incline dumbbell bench press 1 set of 12 repetitions. Start with 50 percent of your 1 rep max. To determine your 1 rep max, see the essential proper form deadlift checklist for beginners. Next, do skull crushers or a french press on the bench for your triceps. Also 1 set of 12 reps.
Last, do one set of 12 reps on the pec deck machine or dumbbell flys on a flat bench. 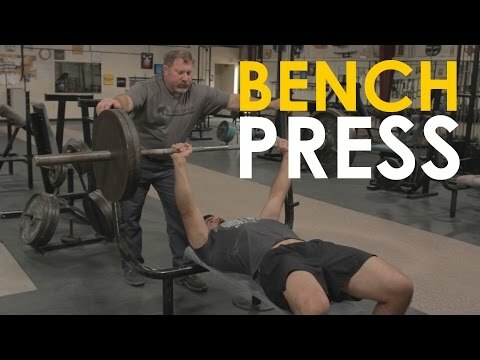 Do set circuits of these bench press assistance exercises. How can you not build a great chest if you are consistent? Log the weights used and your repetitions. Five pounds a week is enough. If you workout consistently for a year, 50 chest workouts for mass, assuming 2 weeks of vacation.